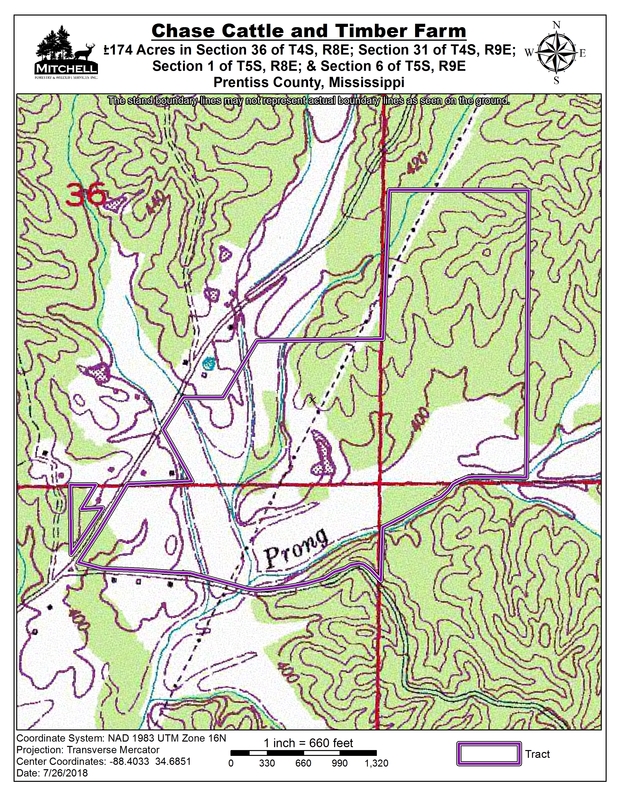 Location: Along Highway 364 in the SE 1/4 of Section 36, Township 4 South, Range 8 East; SW 1/4 of Section 31, Township 4 South, Range 9 East; NE 1/4 of Section 1, Township 5 South, Range 8 East; and NW 1/4 of Section 6, Township 5 South, Range 9 East, 2.5 miles north of Altitude. 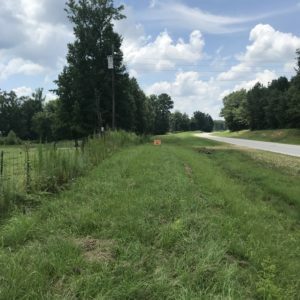 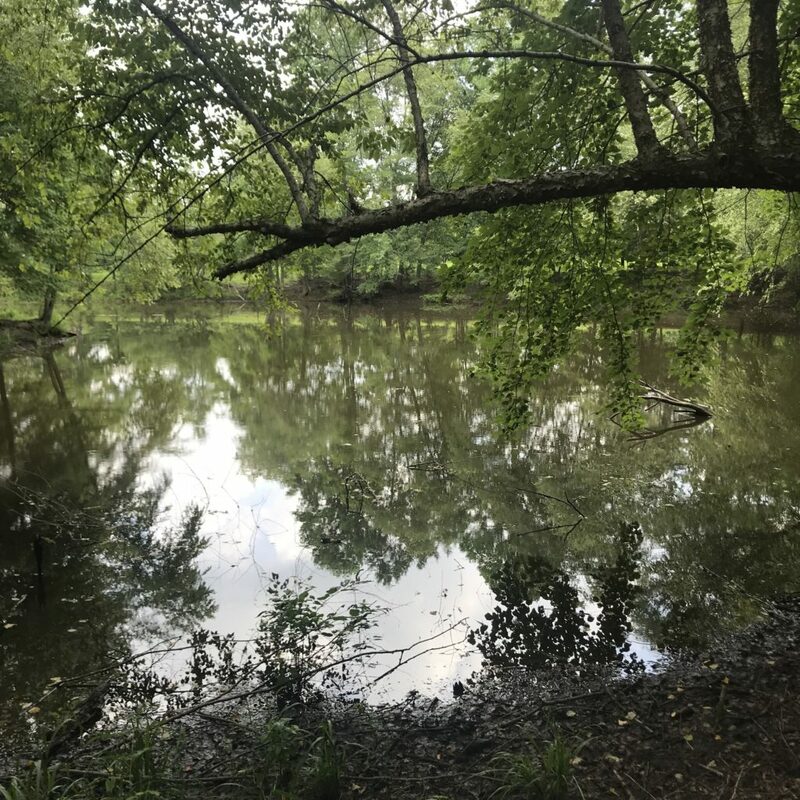 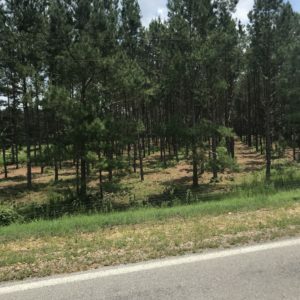 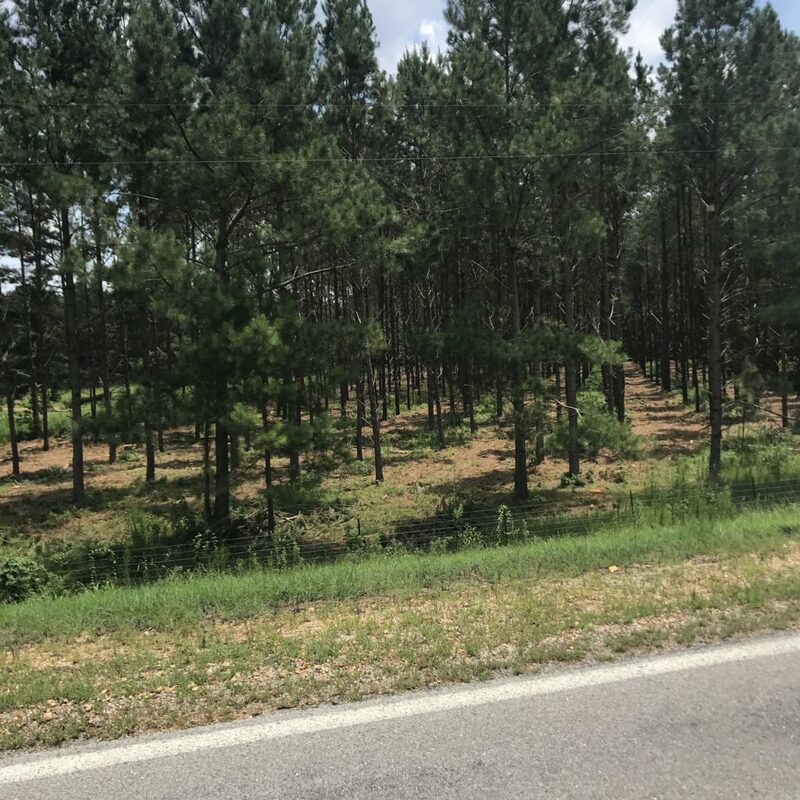 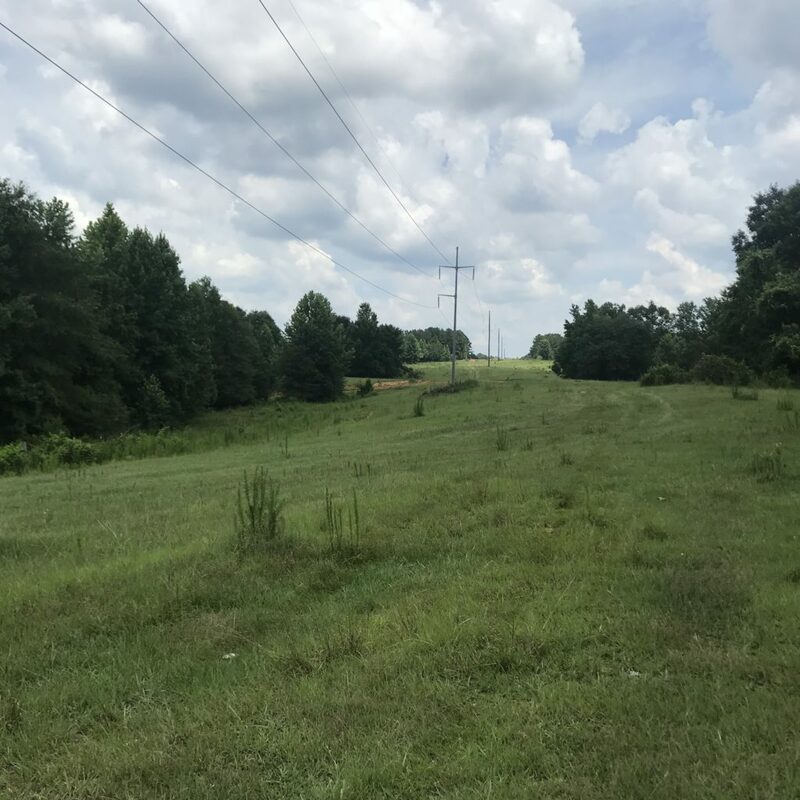 Stand 1 is ±114 acres of loblolly pine plantation currently being thinned; ±42.07 acres is in CRP that pays $2,002/year and expires in 2030. 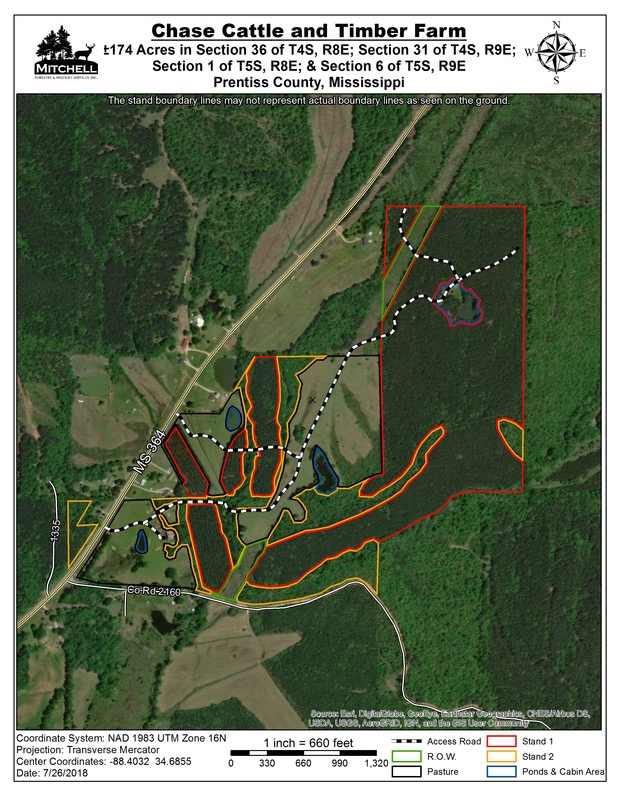 Stand 2 is ±20 acres of mixed hardwood species. 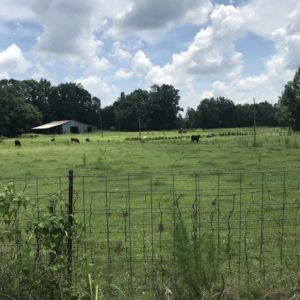 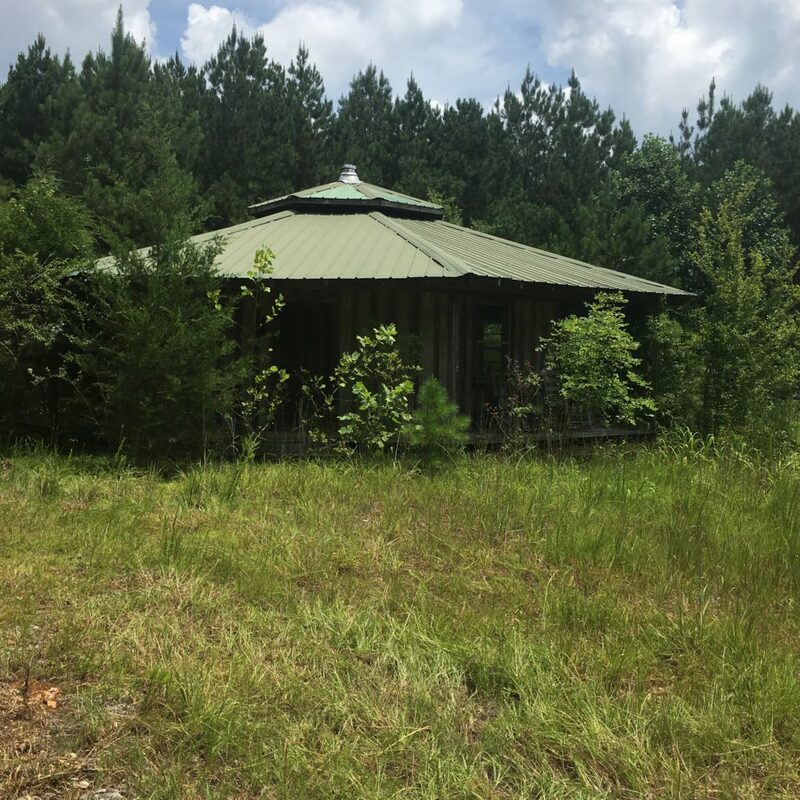 ±40 acres of fenced pasture with a barn, cattle, three ponds. 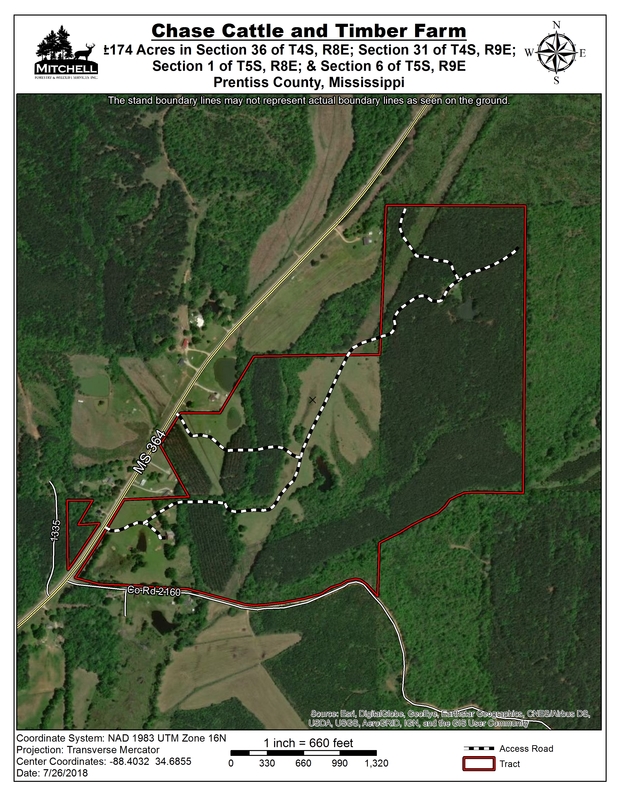 The property has several building spots: one west of Highway 364; several on the north of County Road 2160 and east of Highway 364. There is a small “get-a-way” hunting cabin near a pond in the wood area. Call John Mitchell for more information at (662) 284-8104.